Visit Lake Sebu this coming November 7- 11, 2013 as it celebrates the Helobung Festival 2013 and the 30th Foundation Anniversary of the Municipality of Lake Sebu. 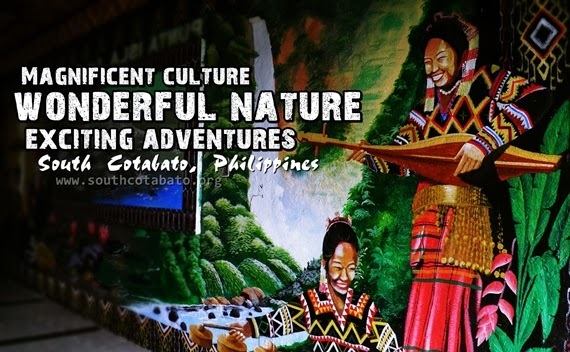 Renowned for its diverse culture and scenic attractions, Lake Sebu is South Cotabato's premier destination. It is known as the "summer capital of the south" and the "land of the Dream weavers" - it is where the exquisite T'nalak fabric is made by the T'boli women and the home of "National Living Treasure" Lang Dulay. It is also where one can find the Seven Falls and experience the Seven Fall Zipline. Lake Sebu has three lakes, caves and several other waterfalls. Visit Lake Sebu this November and see for yourselves why this South Cotabato town is on top in the recently concluded search for Philippine Gems. Below is the schedule of activities for Helobung Festival 2013. Helobung is a T'boli word which means "never-ending joy".